Detailed Description: Watt Stopper Passive infrared wall switch occupancy sensor in black color turns lighting ON and OFF on basis of ambient light level and occupancy. It offers 180 deg field-of-view that covers maximum sensing range of 900 sq.ft. It has a shallow 1-Inch back housing and flying leads for easy installation. Sensor comes with custom two-tier Fresnel lens to improve detection at the desktop level. The button in the switch provides positive tactile feedback. 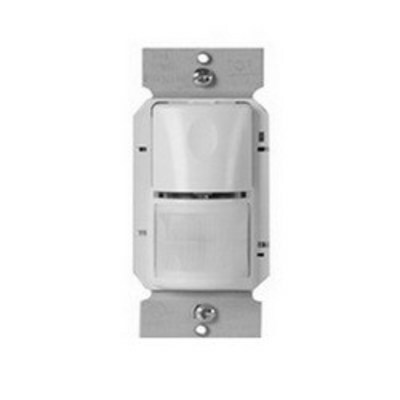 It supports dual voltage rating of 120/277/347 VAC. 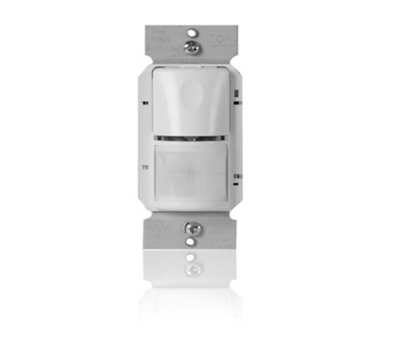 Sensor switch is suitable for indoor use, has an operating temperature of 35 deg C and is compatible with all electronic ballasts. It measures 2.600 Inch x 1.700 Inch x 1.550 Inch. It is ideal for break rooms, offices, conference rooms and utility rooms. It has time delay adjustment that ranges from 30 seconds - 30 minutes. 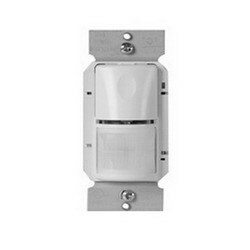 Sensor equips behind a standard decorator wall plate and replaces existing wall switches. It is UL listed and conforms to CA Title 24.